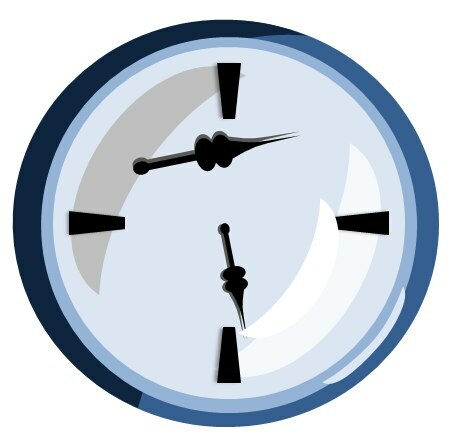 Have you ever tried to use PowerPoint to create a spinning animation (such as the ticking hands of a clock)? If so, you may have gotten frustrated and quit because the most logical animation to use--the spin animation--spins objects from their center axes. To illustrate, let's say you made a clock, and it looks like the example below. 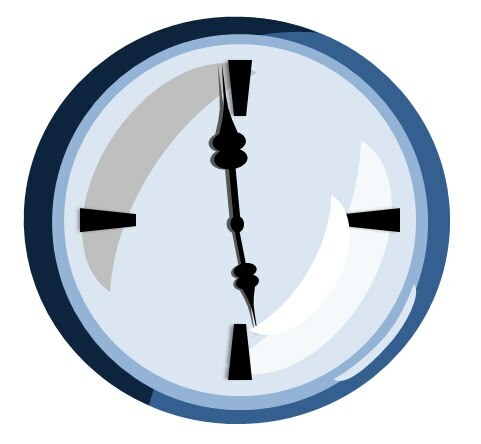 If you apply the Spin animation (Animations > Add Animation > Emphasis > Spin) to the minute hand you will see that it spins from its center axis, as opposed to the base. Rather than rotating from the center of the clock, it ends up looking something more like the clock below. To work as planned, here's what you do. Copy the graphic ([Ctrl] [C]). Paste the graphic ([Ctrl] [V]). Ensure the duplicate graphic is selected and flip it vertically (Drawing Tools Format > Rotate > Flip Vertically). Flip the duplicate horizontally (Drawing Tools Format > Rotate > Flip Horizontally). 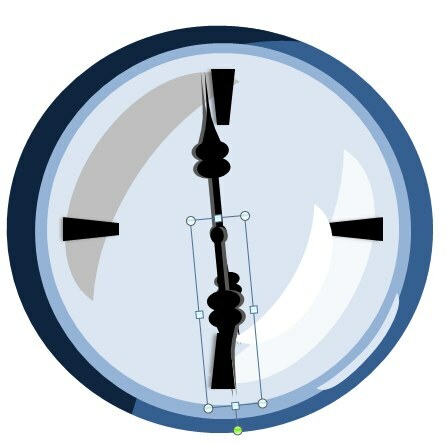 Use the arrow keys to line up the bases of the clock hands. Format the duplicate clock hand to have no fill (right-click the duplicate and choose Format Shape > Fill > No Fill). Format the duplicate clock hand to have no line (right-click the duplicate and choose Format Shape > Line Color >No Line). The duplicate clock hand should now be invisible. Hold down the [Shift] key while selecting the original and the duplicate clock hands. Group the clock hands ([Ctrl] [G]). Add the Spin animation to the grouped shape (Animations > Add Animation > Emphasis > Spin). 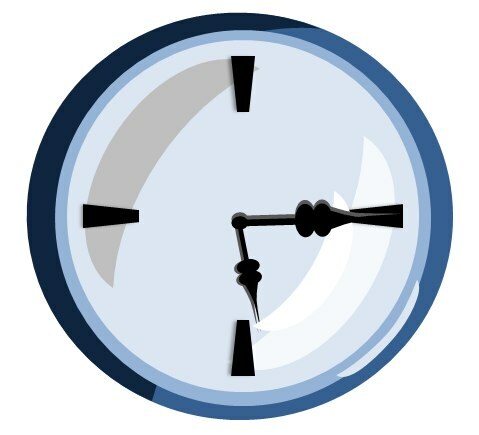 When your clock hands spin now they will do so properly and look more like the image below. I have found it easier to create a circle larger than the object, and center it at the desired center of rotation of the object. Group it with the object, make it invisible (no colors) and apply the Spin effect.